A Guide to GDPR Compliance for Marketers | Constellation Research Inc. The General Data Protection Regulation, or GDPR, was enacted in 2016 with the aim of protecting European Union (EU) citizens from privacy and data breaches. GDPR, which replaces the former Data Protection Directive, mandates new personal data-handling requirements and imposes strict fines on organizations that are noncompliant. These fines can be as high as 4 percent of the organization’s global turnover (annual revenue) or 20 million euros, whichever is higher. 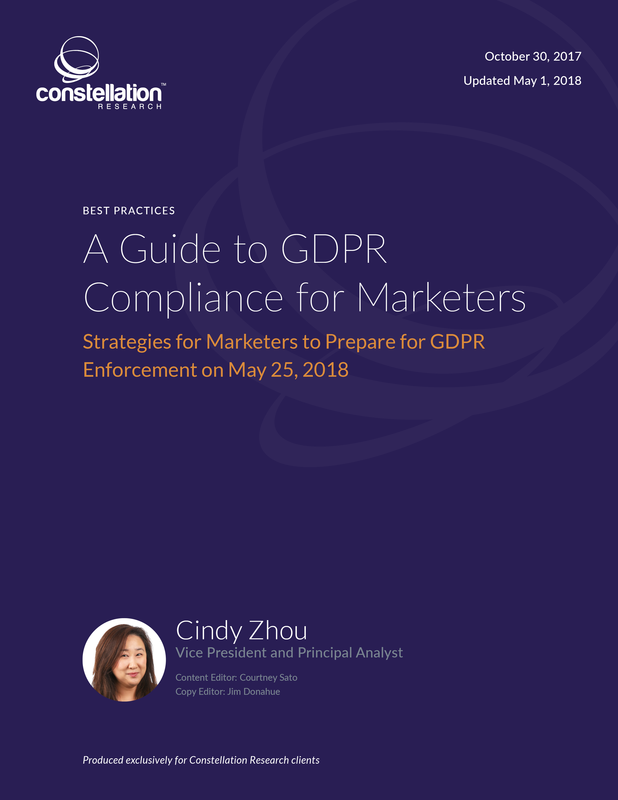 This report explains how GDPR applies to marketing organizations and provides recommendations on how marketers should prepare for GDPR enforcement on May 25, 2018.